New software unveiled at the CES tech show in Las Vegas could crack down on account sharing. LAS VEGAS -- Do you share your Netflix passwords with friends and family? You may not be able to for much longer. Software maker Synamedia say artificial intelligence searches for fraudulent activity. When it finds it, it will ask regular users to upgrade to a premium account that includes sharing. The company says that password sharing costs too much money to ignore anymore. 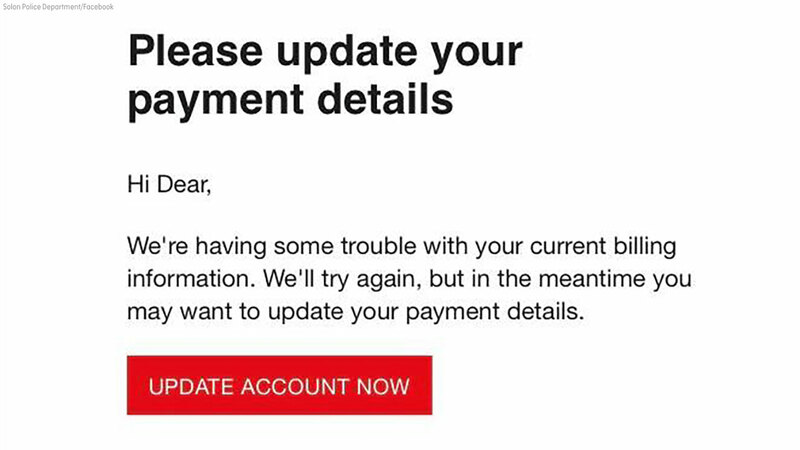 A scam email claims Netflix is "having some trouble with your current billing information" and invites the user to click on a link to update billing information.